Home » New on shelves » I’m giving the La Solution 10 de Chanel Sensitive Skin Cream a Perfect 10 for efficacy! 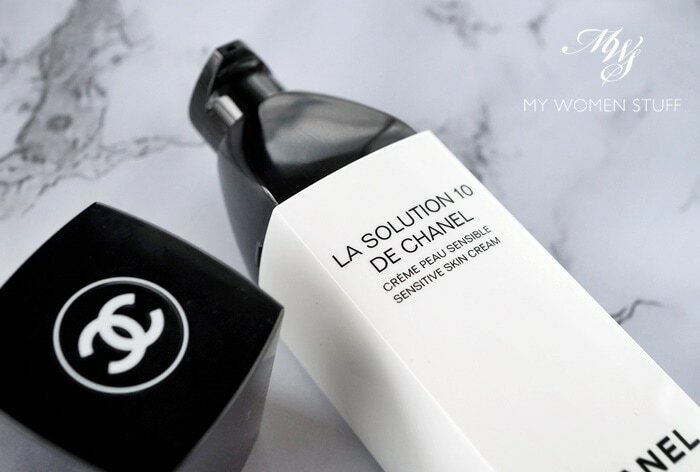 I’m giving the La Solution 10 de Chanel Sensitive Skin Cream a Perfect 10 for efficacy! To be perfectly honest with you, I’d never for once in my life put “Chanel” and “sensitive skin” in the same sentence, when it comes to skincare. I wouldn’t categorize my skin as being sensitive, but even skin like mine, used to being bombarded with various products, can’t tolerate Chanel skincare. That’s the primary reason you don’t read about Chanel skincare on my blog – I just can’t use them! I tried a long while ago, when I was venturing into more premium brands, and promptly found myself breaking out. I’m not sure what I attribute it to – alcohol or fragrance could well be the culprits. So, I’ve stayed away, with a yard long stick before me… until now. The only reason I agreed to trial the new La Solution 10 de Chanel Sensitive Skin Cream is because of its claims. The name is derived from the fact that this product, the first of what I believe will be a new range of skincare within Chanel’s stables, contains just 10 ingredients, took 4 years and 117 trials to get right, and is formulated with New York dematologist, Dr Amy Wechsler, with the express intention to soothe skin with the fewest possible ingredients. The reason behind having few ingredients is manifold. You know exactly what’s in there, it’s not very complex, and there is less potential for it to irritate the skin. But Chanel went one step further. They removed many known skin irritants – fragrance, mineral oil, parabens – and made this not only soothing, but also protective of skin. Ok, let’s backtrack a little. As I don’t categorize my skin as being highly sensitive (I don’t have the usual redness, flakiness, dry spots etc associated with sensitive skin) I sometimes do encounter a little sensitivity or reaction to things like acids or exfoliators. I wasn’t sure what to expect when I first embarked on using the La Solution 10 de Chanel cream. After all, wasn’t it just a moisturiser? But much to my surprise, it was a little more than that. I realised that when I don’t have makeup on, and while I’m using this cream, my skin would stay fairly even toned throughout the day. Sometimes, I get red patches around my cheeks in the afternoons, when it’s hot, but for some reason, every time I used this my skin remained calm and did not look blotchy. After a few weeks, I stopped, used another moisturiser, and noticed how my skin would turn towards the warmest times of the day. But with this, it didn’t. That’s when I realised what a difference a cream that soothes and calms the skin does. Another thing I noticed with prolonged use, was that my skin took on a more even texture. One of the key ingredients in the La Solution 10 de Chanel cream is Silver Needle Tea, which is a rare ingredient. From these delicate leaves, Chanel has extracted a concentrate that contains high antioxidants to protect skin from free radicals. This makes skin less reactive, and calmer. I hate to say this, but this has been quite an amazing experience for me using this cream. Not only does my skin love it, it actually seems to respond better, and FEELS better. It reminds me of the REN V-Cense Day Cream, which I love, but without the scent. The REN one targets a slightly different function, but it feels similar. The packaging is kept very simple, with Chanel’s iconic black and white packaging, with a nice heft and a good pump. The pump dispenses about the right amount of cream each time, which isn’t very much. For most people, I think 1 pump should be about right. I use 1.5 pumps, because I don’t find it moisturising enough for drier skin, and that irks me a little. I love that no fragrance has been added, so it has no scent, and the texture of the cream is soft and velvety, sinking into skin without any greasy after-feel. This is an oil-free formula, so if you have oily skin, you can use it too but you might feel more comfortable using a little less. 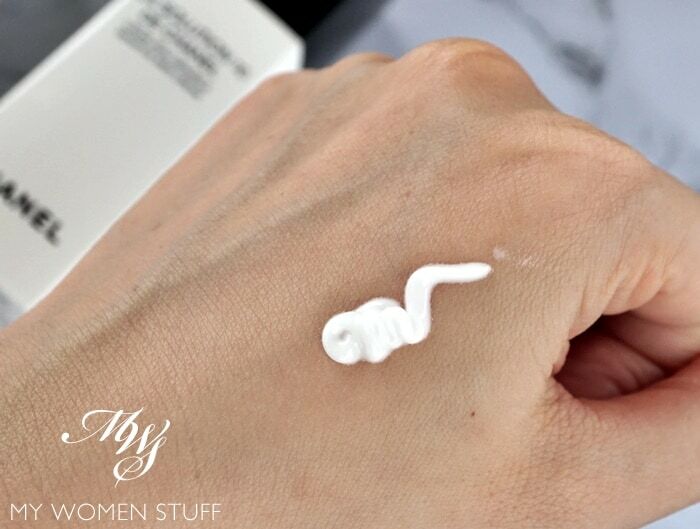 In many ways, this is a very simple moisturiser, that doesn’t purport to hydrate or treat or do anything miraculous. It is a cream that I think most people with sensitive skin might enjoy using, simply because it’s so soothing on the skin, and the soothing effect is actually noticeable for me. The La Solution 10 de Chanel Sensitive Skin Cream is a moisturiser targeted at people who have sensitive or reactive skin concerns. This would include redness, flakiness, easily irritated skin and tight, dry patches of skin. The cream feels a little creamy but absorbs quickly and very comfortably into the skin without leaving any greasy residue. With prolonged use, I find that my skin seems to calm down and not react through the day by not turning red or blotchy. I don’t have particularly sensitive skin myself, but I have noticed the soothing feel and when my skin feels tired or burdened, this calms it down. However, I feel that it isn’t moisturising enough for those with drier skin, so I use this in the day. It sits very well under makeup and does not turn my skin oily at all. Barring the price, I think this to be an excellent product and not something I expected from Chanel, but one I’m very happy they made! 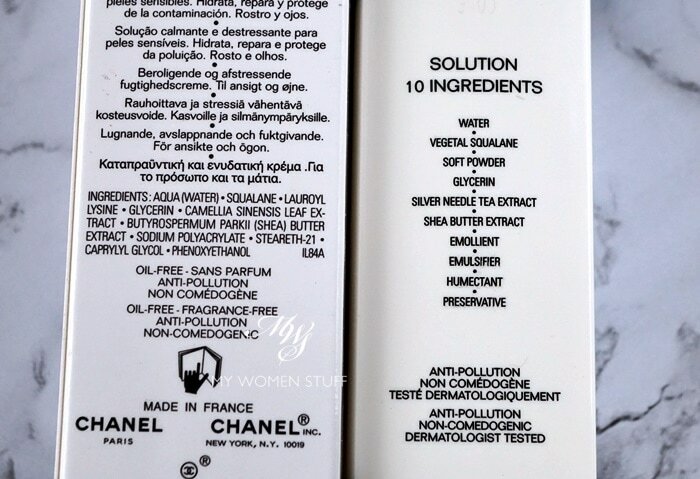 If you’re interested, here’s the ingredient list for the La Solution 10 de Chanel cream. 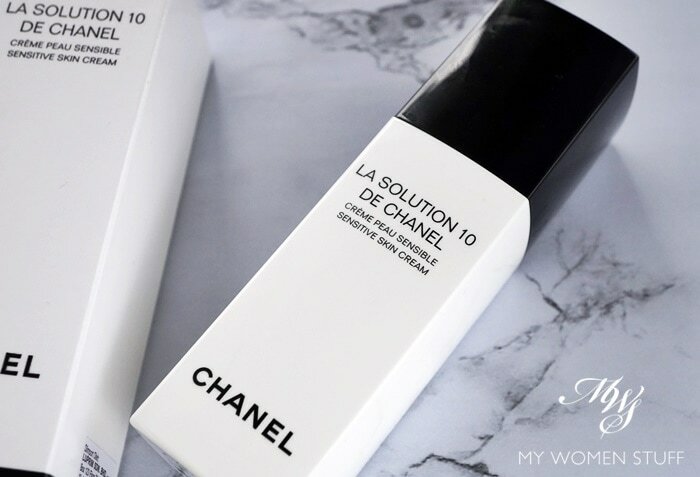 Is the La Solution 10 de Chanel cream something you’ve been interested to try? So pricey for such a basic cream. I’m going to skip it. I wonder why they put in soft powder as an ingredient. It would explain that the lotion is velvety textured and leaves a comfortable finish on the skin. Its certainly the right recipe of ingredients that make a cream work. All brands have access to the same ingredients, but not necessarily the right way to make it or the right amount needed. I’d have to agree with you there Felix! Not everyone gets it right! Calms down redness? My face turns red when it’s hot and nothing has worked. .. except for yellow based fountain that’s a shade lighter. And May Lindstrom’s blue cocoon which costs an arm and a leg. This might be something I have to try. Putting it on my ever growing list! Yep, it does! It surprised me because it was during the heatwave that I tested it and noticed that I wasn’t turning red around the cheeks and nose area, as we usually do. Must be something in there that calms the skin so it doesn’t react so much which is great! You’ve reminded me to take out my Blue Cocoon!